This one-piece ski suit brings a new level of flash to the mountain. 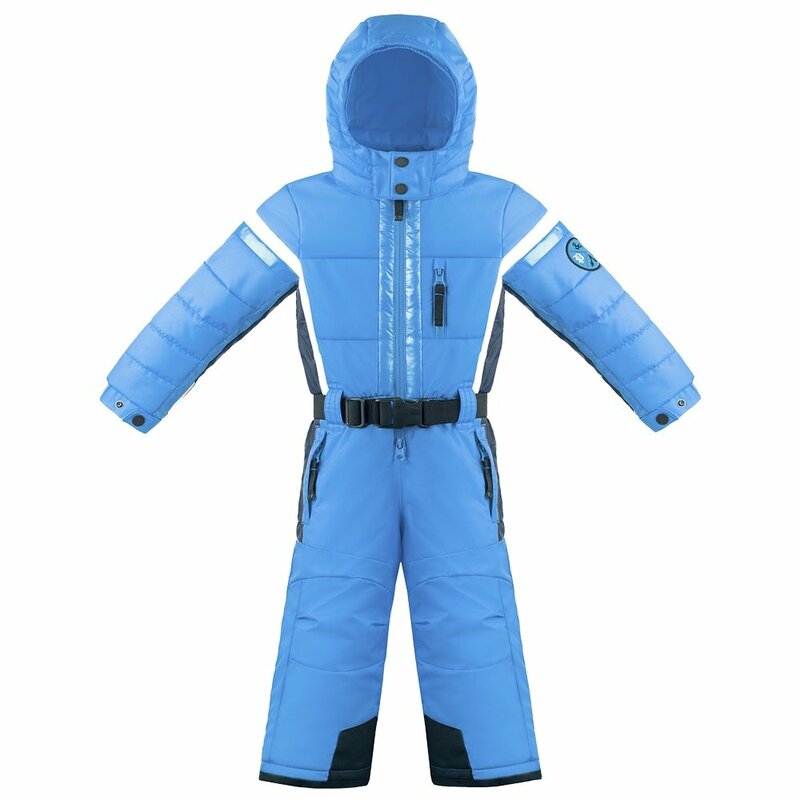 The Poivre Blanc Heli One Piece Ski Suit is made to be form-fitting, an elastic belt, adjustable cuffs with elastic and snaps, and a stretch inner cuff dial in the perfect fit for you. The brushed and stretchable thermal lining at the inside center back provides extra comfort and warmth. The thermal fleece inside collar and chin guard help reduce the risk of windburn. Reinforced at the bottom leg, and featuring an adjustable leg length, this suit is made to get you through the storm while providing superior comfort. Choose the Poivre Blanc Heli One Piece Ski Suit for a solid feeling ski suit that makes you look like a rock star.